After launching, delivering a payload into orbit, and landing on December 21, 2015, the Falcon 9 rocket was transported to a hanger. No damage was revealed in the initial inspection beyond a bit of wear-and-tear from orbital spaceflight. 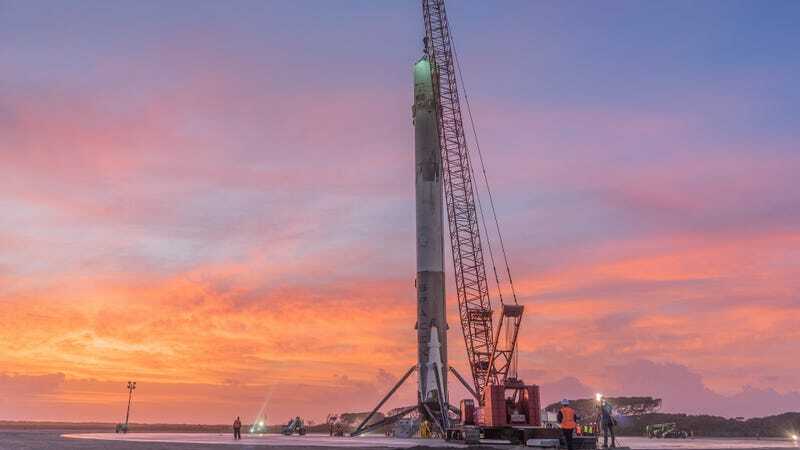 Musk’s report indicates the engines are mostly-functional, but one of the outer engines is having some fluctuations that have yet to be explained in SpaceX’s investigations. The team will run a borescope—a long, thin camera that can be sneaked into the engine without disassembling it—to look for any debris that may be blocking airflow. Even after a successful ground landing, SpaceX is still working on nailing a barge landing. They want barges to collect rockets from higher-energy launches that deliver payloads beyond Earth orbit. In the short-term, they’re also depending on barge landings for launches out of Vandenberg Air Force Base in California where they’ve yet to receive environmental clearance for ground landings.